The January 2017 Azaz bombing occurred on 7 January 2017 when a car bomb in front of a courthouse and near a market in the rebel-held city of Azaz, Syria detonated, killing at least 60 people, mostly civilians, and wounding around 50 others. The death toll was expected to increase. The Islamic State of Iraq and the Levant was suspected and blamed for the attack. ^ "Syria conflict: Bomb kills dozens in Azaz on Turkish border". 7 January 2017. Retrieved 31 January 2017. 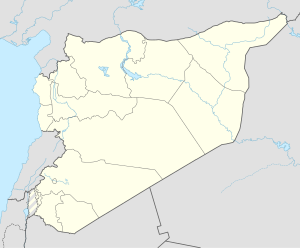 ^ "Car bomb kills at least 60 in Syria's Azaz". Al-Arabiya. 7 January 2017. Retrieved 8 January 2017. This page was last edited on 20 March 2019, at 01:57 (UTC).